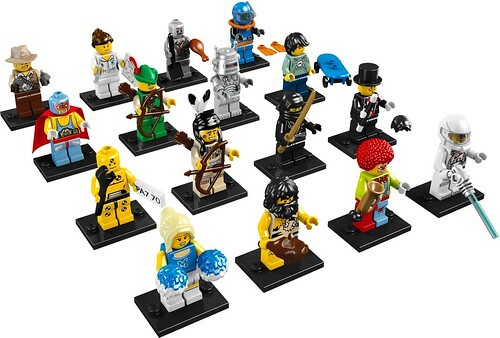 Huw at Brickset has posted some high resolution images of the upcoming 8683 Collectable Minifigures / Minifigs. For a larger version of the above, see this Flickr photo and for a peek at the packaging, see this Flickr photo. It’s going to be a neat set of minifigs.